CAPE TOWN, July 5, 2010 (AFP) - A python used by a South African fortuneteller to control the progress of teams in the World Cup has been seized by animal welfare inspectors, a spokeswoman said Monday. The 2.8-metre (nine-foot) long Burmese Rock Python was being used by a sangoma in a Cape Town township to communicate with the ancestors, to ask them to intercede in World Cup matches, said Sarah Scarth, spokeswoman for the Society for Prevention of Cruelty to Animals. SPCA wildlife inspectors were alerted to the snake on June 30, she said. "They found the snake was being kept in a shack and in back of a car, and was being used allegedly by the sangoma to speak to the ancestors," she said. 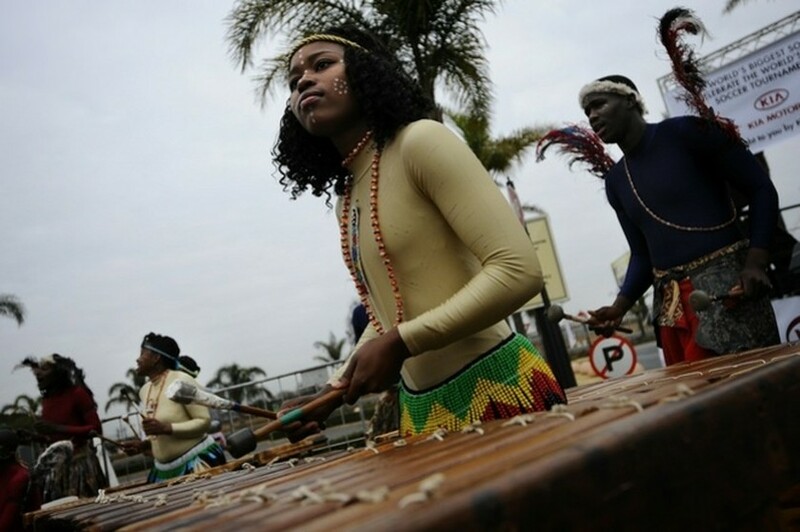 "People were paying the sangomas to ask the ancestors to help their chosen teams advance in the tournament." But the inspectors found the reptile had pneumonia and mouthrot, and was underweight and dehydrated. The snake was confiscated and was responding well to medical treatment, Scarth said.